Changing The Way You Tweet, To Gain More Followers! Face it, following hundreds of people who tweet the same content in the same “proper” manner gets old fast. Think about the most entertaining people to follow – what makes them entertaining? We’ve all been programmed to think about what we tweet or post before doing so. We’re all told to ask ourselves how the content we’re posting will reflect on our professional lives. We all come across something we find funny, but fail to share it because we don’t want to offend people, which then causes us to go out and post some other “interesting” yet dry content. Tons of celebrities tweet about what they’re doing, or about an album they’re releasing, or something relating to their career. But the only followers these celebs get are people who are legitimately interested in their careers. There are a select group of celebs/sports teams/businesses/ and people who break from the norm and tweet without a care. Sounds like a bad idea right? Wrong! These tweeters generally have the largest following compared to others in their industry. Now controversial tweeting doesn’t mean tweeting profane things around the clock. When I say “controversial” I mean tweets that break the “think-before-you-tweet” mentality. 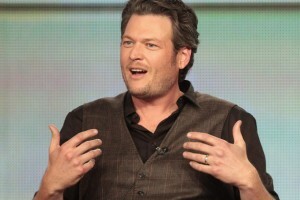 Let’s take a look at country music star and judge on NBC’s “The Voice”, Blake Shelton. Tons of people will tell you they hate country music, but they still love following Blake. Why? It’s because he posts tons of different content: what he’s doing with his career, what he’s up to in his personal life, he drunk tweets like no tomorrow, and responds to his followers all the time. WAIT, he does what? That’s right, Blake is a true rebel getting on his twitter at late hours saying some ridiculous things. I’d give you examples, but I’ll leave checking his tweets out yourself (check out his handle @blakeshelton). While I don’t recommend tweeting about your inebriated escapades, its important you do something to make your personal brand one that sticks out. You need to decide what you can do that will make you unique to your followers and run with it. So what can we all learn from Mr. Shelton that can have a positive effect on your own individual following or even your company’s following? I’ve made four short key points to help boost the amount of followers you’ll get. Tons of people will tweet about the latest tech gadget, who won a sports game, or some useless insight about how they bought a new rug at the store. All of those things can be tweeted about, but try and phrase it with a different spin. Take Lebron James’ star performance in the semi-finals when he scored 45 points in a game. Everyone probably tweeted something bland like “whoa Lebron! That was awesome.” It was a great performance indeed, but switch it up and try something like, “Call out the cleaning crew, because Lebron just tore up the house with that Kingly performance.” I know not everyone likes “King James,” but you get the idea here. Don’t just send out updates; make sure you’re engaging your followers. Retweeting can be one of the most powerful tools for reaching followers. If you’re unique enough, people will tweet at you to try and get a response. Both ends benefit, the follower is satisfied and the person being tweeted at gets more recognition. Post news you find interesting, articles you like, retweet followers, and have fun with your own original tweets. No one likes to get excited about the content you’re tweeting only to have you go missing for a period of time. Make sure you don’t spam people’s feeds, but generate enough content to keep your followers continuously entertained. Take advantage of being able to tweet on the go with your mobile devices. No one likes to read tweets that makes you wish they were elsewhere watching paint dry. Use your uniqueness to your advantage. Never be afraid to be weird or ridiculous. I am a professional blogger, and I value Twitter a lot. The reason I can say this proudly is because I use https://wizugo.com/ as my Twitter account automation tool. Wizugo is so amazing that I can schedule my tweets according to my desired time and I don’t need to be online all day for that too. A mobile-friendly awesome tool for Twitter.